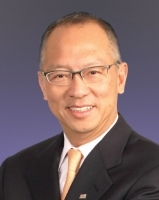 Dr Chung is Co-founder and Non-executive Director of Techtronic Industries Company Limited. He is Honorary President of the Federation of Hong Kong Industries, Chairman of Vocational Training Council and President of The Boys’ & Girls’ Clubs Association of Hong Kong. He has been awarded a Gold Bauhinia Star, a Bronze Bauhinia Star and appointed as Justice of Peace by the HKSAR Government. Dr Chung has received the Young Industrialist Awards of Hong Kong and Industrialist of the Year Award. He joined the PolyU Council in 1999 and has served as Deputy Chairman. He is now Honorary Chairman of the PolyU Court.